Think we’ve been having weird weather lately? You’re not alone! Why So Much Weird Weather Lately? Some say the strange weather is caused by climate change. Others think it’s part of a natural cycle. Then you’ve got the folks who say we haven’t been recording weather data long enough to really know how weird the weather really gets over many centuries or eons. Who’s right? I don’t know… I’m not a scientist and I don’t even play one on TV. 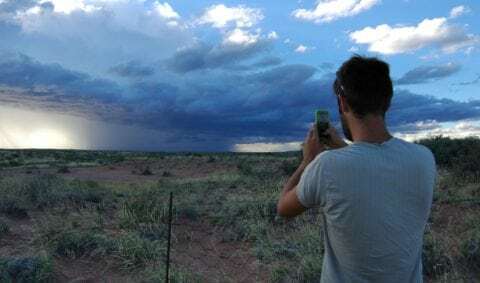 My guess is the increase in weird weather is partly due to the presence of social media — and the fact that virtually everyone owns a miniature camera that fits in their pocket. 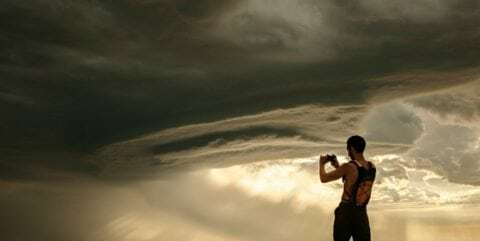 So, maybe the strange weather phenomena we’re hearing about today also took place years ago, but folks couldn’t document or spread the news about these weird weather events as easily as we can today. 7 Unusual Weather Events We’ve Experienced In The U.S. It seems like with every successive year, heat waves are breaking new records. And it’s not only miserable to be outside on oppressively hot days. It can be deadly. If it’s not the heat, it’s the humidity… Or the moisture, anyway. Some of the weird weather we’re seeing lately is record flooding. One example is Hurricane Harvey — which made its final landfall in Houston, Texas in August 2017 and brought record tropical system rainfall, dumping 51.88 inches of rain. That’s not just a rainfall record in Texas… that’s a record for the contiguous United States! 2017 was a year of records — record heat, record rains, and also record hurricanes. It was also the costliest hurricane season on record to that point, with 17 named storms in the Atlantic basin. Ten of those were hurricanes formed in the Atlantic basin. Of those, 6 hurricanes were considered major according to the Saffir-Simpson Hurricane Scale. A record 4 hurricanes that made landfall in the United States, with 3 of those considered major hurricanes. One of those storms, Hurricane Irma, attained wind speeds of an astounding 185 miles per hour for 37 hours — the longest any storm on earth maintained winds of that speed. Some people think snowfall records mean global warming isn’t happening, but I’m afraid that’s not the way it works. Warmer average temperatures around the world can create more extreme weather — and not just record heat, but also record snowfall. What gives? Heat increases moisture. And the more moisture in the air, the more precipitation — including snow — that’s going to fall. Record snow doesn’t necessarily equate to record cold, it just means conditions are cold enough to support snowfall. And with enough moisture in the air, even with “warmer” snow-level temperatures, it’s still possible to create record amounts of snow. Seems like a lot of folks are posting on social media about all kinds of strange weather clouds. Some totally weird clouds are popping up in the skies above us. While I’m on the topic of strange-looking clouds, let’s cover another recent weather story that some people are talking about: chemtrails. 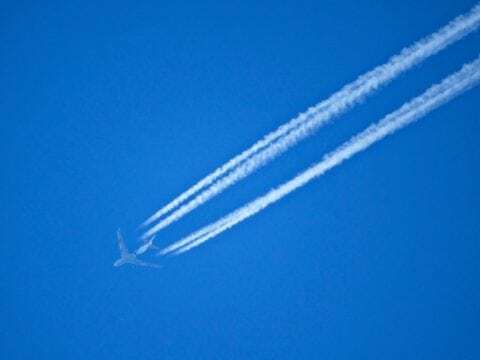 Conspiracy theorists believe that persistent contrails (large, thick contrails that hang in the sky for hours at a time) are a relatively new thing. They think these contrails contain chemicals that government officials are spraying on people to control populations, to test biological agents, to manipulate weather, or to conduct other experiments. Some believe chemtrails are also proof of weather manipulation — much in the way that cloud seeding was first used decades ago. Contrails are simply exhaust consisting of water vapor spewing from a plane’s jet engine high in the atmosphere. Depending on wind speeds, the amount of humidity in the air, and other factors, some contrails will either stay thin and dissipate into the air or linger and spread — over minutes, or even hours. Record heat and drought in some parts of the country have caused massive wildfires. And when conditions are just right, they’ll spawn fire tornadoes — or firenados. I’ve never seen a firenado in person, but I hear they’re both breathtaking and scary to watch. They occur in raging fires and form a warm air rising near the fire — which begins swirling and taking the fire, embers, and smoke upward to the sky in a tornadic vortex.